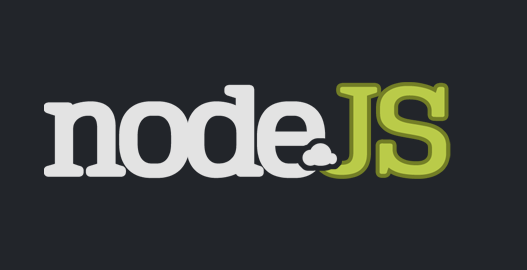 I managed to get the time to do some research into Node.js last week. I have been meaning to check out the new coolness for hipster nerds like myself. I will try to explain some of the node concepts as I understand them. Often the plan when it comes to scaling request serving in web apps is to use threads. However there is an alternative method which yields better results. This is the single thread event loop and a good example of event based vs threading is that of a load test between apache and nginx. Apache the worlds most popular webserver. Nginx is a wee russian webserver which punches beyond its weight. Nginx versus Apache (with the worker-MPM) for serving a small static file. Because Nginx is event-based it doesn’t need to spawn new processes or threads for each request, so its memory usage is very low. RAM is fast. Disk, DB and Network are very slow in comparison. This results in programs spending a lot of time waiting for IO operations to complete. Node approaches this as being completely the wrong way of doing things and everything should be non-blocking. The problem being that most IO libraries are blocking, so there is a movement to upgrade these libraries to be non-blocking but there is also a c based thread pool which node uses to achieve non-blocking whilst using blocking IO Drivers. Do I really want to build a website with this? However, I think that the power of node is in the access to low level functionality to build your own low level network applications. So essentially, programmers who have grown up in the internet age can now write ace applications in a way which was previously not possible. In my view, this is the main merit of node. Obviously squid is very powerful and bursting full of features that you need, you should probably use it actually. However it is really easy to write a proxy in node. Best plan is to deploy it with nginx as a frontend which proxies request to the node instance. One option is using it with upstart and monit. This blog post describes the process really well. Heroku are in the process of starting of offer node support; but this is still in a closed beta. I hope this has given a brief overview of node and it helps you to decide whether to have a go or not.